The 2RU 19” rack mountable shelf is equipped with high quality set of 8 x SAT IF active splitters and 1 x Terr. active splitter and with redundant power supply. It is dedicated for broad range of TV & SAT signal distribution systems like CATV / IPTV headends or multiswitch systems. The active splitter 8 x SAT IF + TERR. 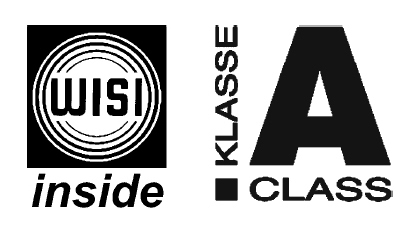 is made of highest quality Class A components produced by WISI Communications GmbH Company and thus provides very reliable system performance within long term operation. The shelf can be installed in wall hanging 19” rack cabinets of 450mm depth or floor standing racks of any depth like 600mm, 800mm etc. It provides very effective space usage and clear labelling of all inputs and outputs of the splitters. All connectors are available on front panel including redundant +13V DC power supply (DC1 + DC2). All inputs including DC connectors are of blue color. 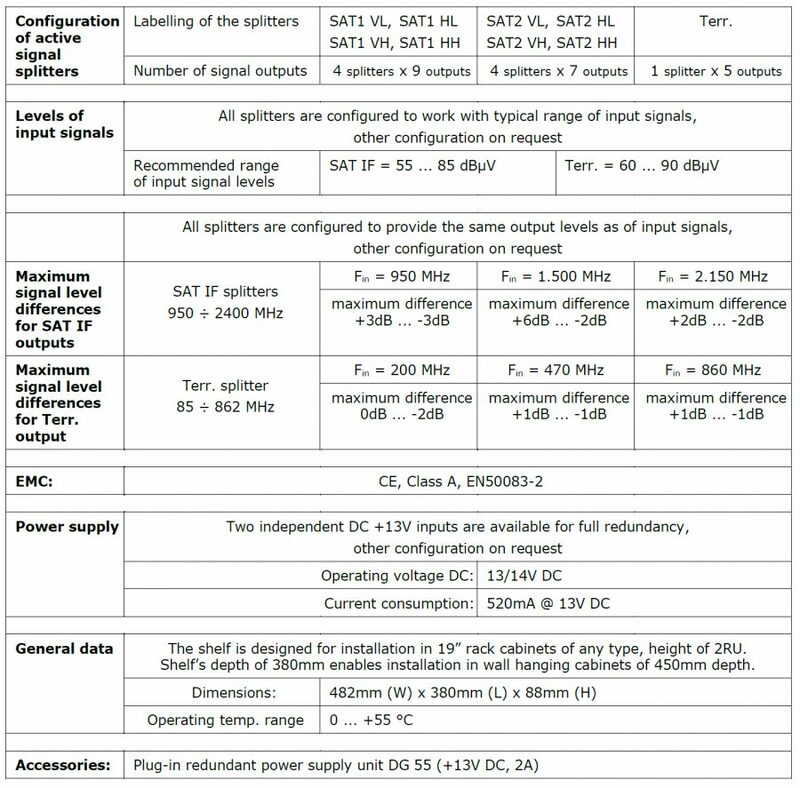 All outputs of SAT IF signals are of white color and all outputs of TERR. signals are of green color for easy identification of all connectors.